Dropzone 3 (was Dropzone) makes it faster and easier to get things done. 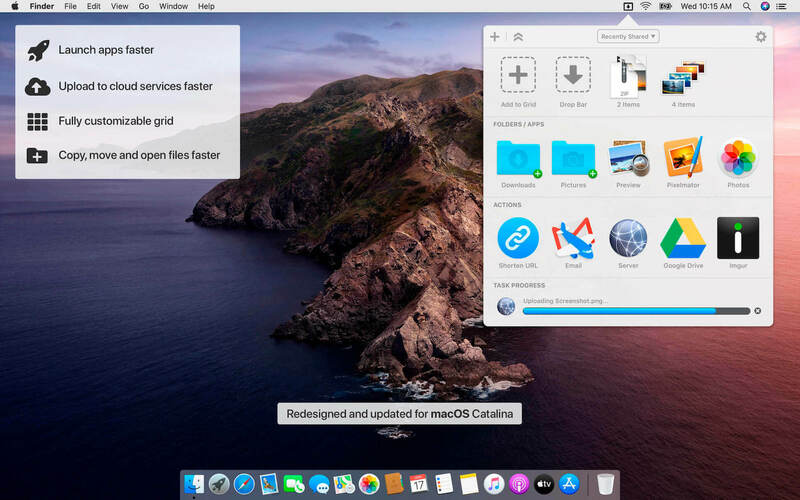 Drag a file onto the dock icon and your fully customizable grid of destinations flies smoothly out using core animation. Drop the file onto a destination and Dropzone will take care of the rest. Whether you’re installing an app, uploading a file to an FTP server or sharing your photos on Flickr.